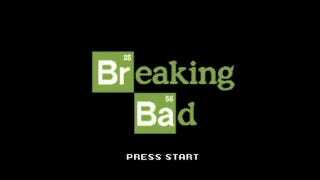 The (awesome) TV Show Breaking Bad has a long history with video games, including the funniest, most accurate meth-fueled video game debates I've ever seen on a TV show, as well as some odd product-placement for the shooter Rage. The guys at College Humor have taken it to another level, putting together this hilarious (incredibly spoilery) video-game recap of each season. The video is much in the same mode as their amazing 16-bit version of Game of Thrones. Favorite parts include: How all of the character names include highlighted symbols from the periodic table, hearing the 16-bit version of Breaking Bad's amazing guitar music, the unlocking of Heisenberg, and when Walt finally runs all out of lies. Also, the entire recap of season three, which... you'll see. Stick around for the bonus sequel at the end, too. You Won! But at What Cost?